Gamelan X. The Spiral Electric. Daxma. From each corner of Shredtown, USA, May 4 will be a night to relish in the heaviest sounds the Bay Area has to offer. 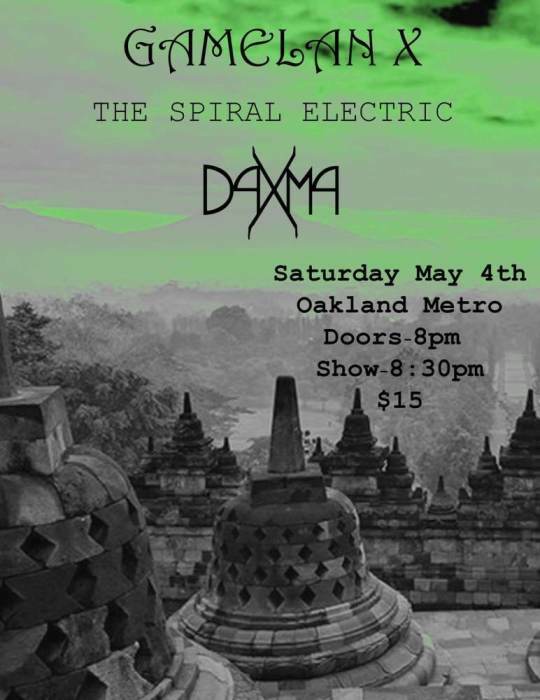 Gamelan X brings the unique and literally metal sounds of Bali and America, The Spiral Electric brings the deep and wailing sounds of psychedelic rock, and Daxma presents a massive wall of post-rock doom. This alloy of sounds, disparate yet cohesive, come together for a night of sonic weight like no other. May the fourth of our music be with you.